DAVID LE/Staff photo. 2/25/15. 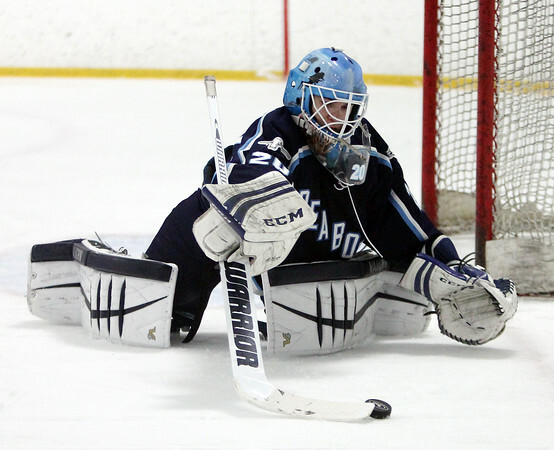 Peabody sophomore goalie Aaron McDonnell dives on a loose puck.